Halfway through our first year as a church, a little bit of pressure started to mount: Should our membership be increasing at a quicker rate? How will we pay the bills? What will I say to people who think we haven’t reached as many people as they think we should? We don’t have to worry about the metrics that define worldly kingdoms. The Kingdom of God uses a different scorecard. As long as we are faithful to God’s calling, we can accept with great peace wherever our church ends up. We don’t have to worry about “budgets, baptisms, buildings and barbeques.” Instead, we aim to be faithful to our vision, mission and core values. Looking back over the last year or so since we launched, I can take the greatest pride in our faithfulness to who God called us to be. Are you worried about being successful? Would it help you to instead aim to be faithful to God’s call for your church? It brought peace to mine. The following post is by Kyle Tubbs, a CBF church starter and pastor of Grace Baptist Church in Williamson County, Texas. 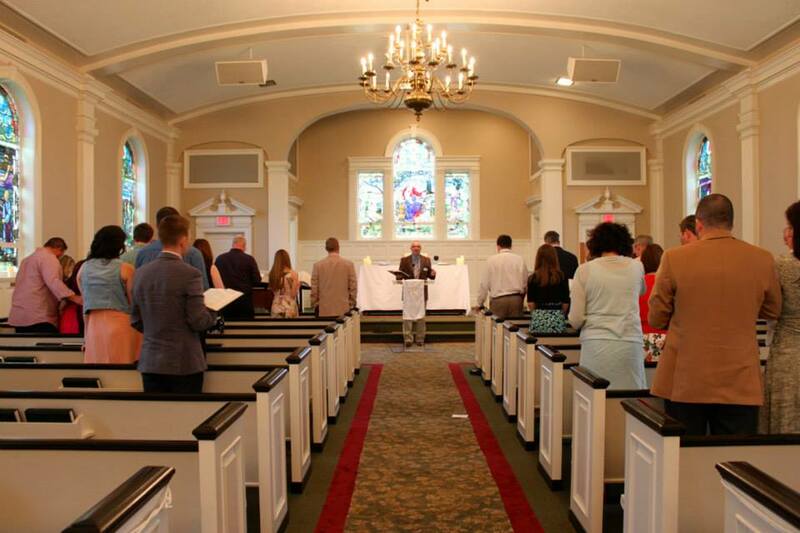 Read more about Kyle and Grace Baptist in a recent fellowship! magazine feature titled “CBF church starters use creativity to build community.“ Kyle is writing as part of a monthly blog about church starting. Read his other blogs here: October, November, December, January, February, March, April, May.